What is Ignition Interlock Installation? Whenever you’re required to install an IID, or ignition interlock device, you have to go through the process of ignition interlock installation. In the state of Connecticut, you’re almost always required to have an IID installed if you’ve been convicted of a DUI or DWI offense. These devices exist to help prevent drunk driving by monitoring the breath alcohol levels of anyone attempting to drive the vehicle in which the device is installed. Drivers must pass the breathalyzer test in order to start the car. While this serves the purpose of keeping Connecticut drivers safe, it also affords you some of your freedoms while you serve out a license suspension. 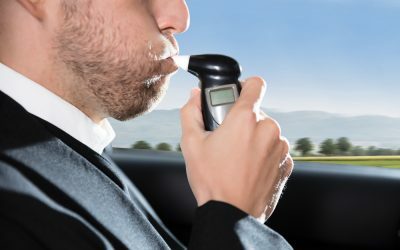 In Connecticut, you have to obtain an ignition interlock device in any car you plan to drive during your license suspension. In most cases, a suspension in Connecticut having to do with a DUI or DWI offense would strip you of your driving privileges for the duration of your sentence. However, hardship licenses or restricted license might be available to some Connecticut drivers who can’t afford to go without a car. If you can prove that not driving would put you in a situation of undue hardship, you can usually get a hardship license. This license requires that you have an ignition interlock device installed in Connecticut in every car you plan to drive during your suspension. Only Connecticut state-approved vendors can install an IID. It’s critical that you only have your IID installed by a vendor who has been vetted and approved by the state of Connecticut, because only those vendors can provide you with the installation, management, and reporting services you need to successfully and acceptably carry out your Connecticut suspension. At ALCOLOCK, our commitment to customer service and client care has helped us to become one of the leading experts in ignition interlock services. When you come to one of our Connecticut locations, you can expect to be treated with respect, to work with friendly staff, and to be in and out in as little time as possible. You can make your appointment over the phone and have your IID installed usually within a day or two. ALCOLOCK has several locations in Connecticut. We’re happy to help you get back on the road – and on the path to success. Take your first step forward by scheduling your ignition interlock installation with one of our approved vendors in Connecticut today. The list below can help you choose the Connecticut ALCOLOCK location that’s closest to you.